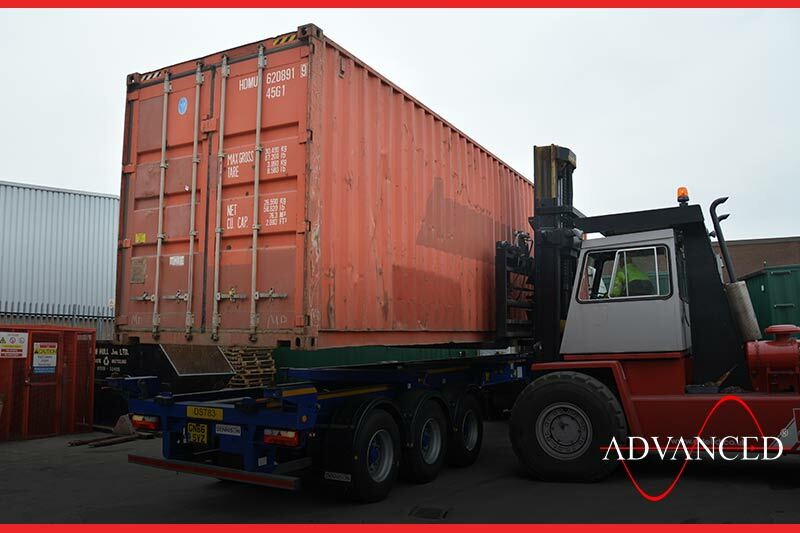 The Uk is seeing an ever increasing export opportunity due to the current exchange rate and low sterling. 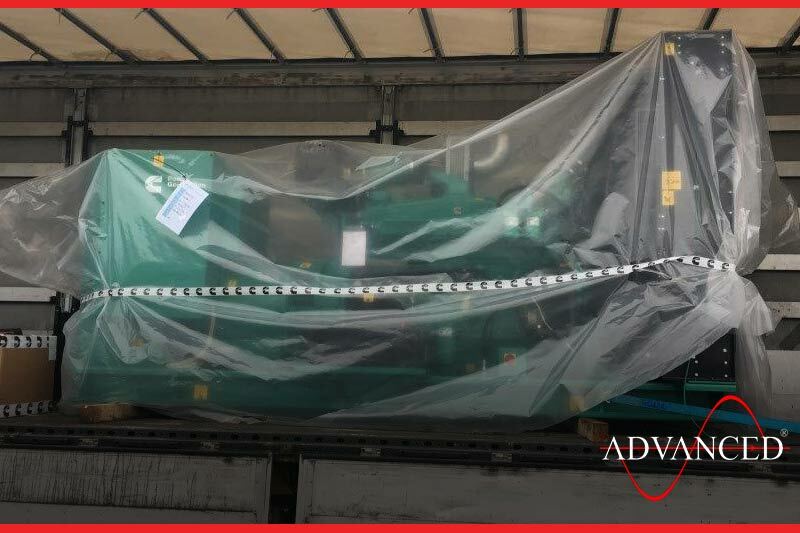 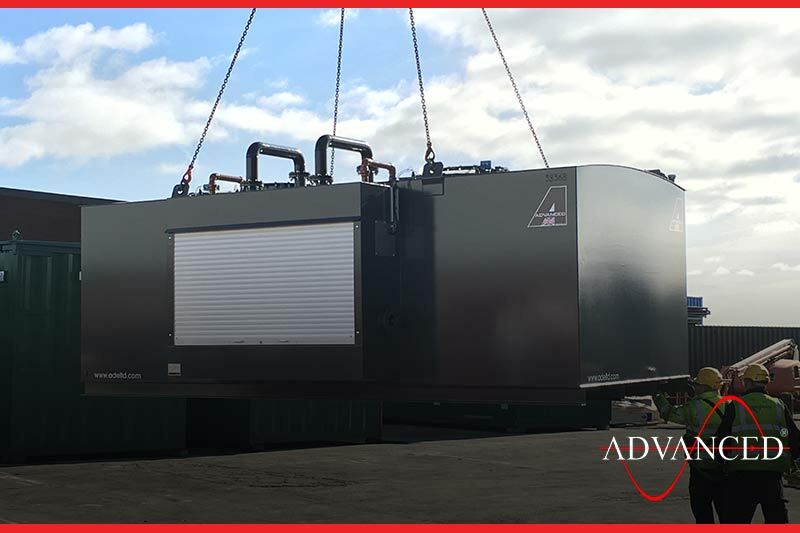 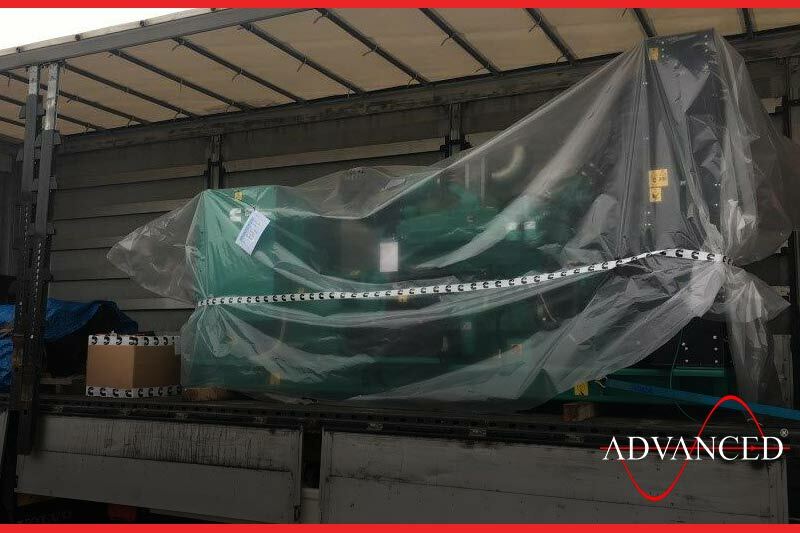 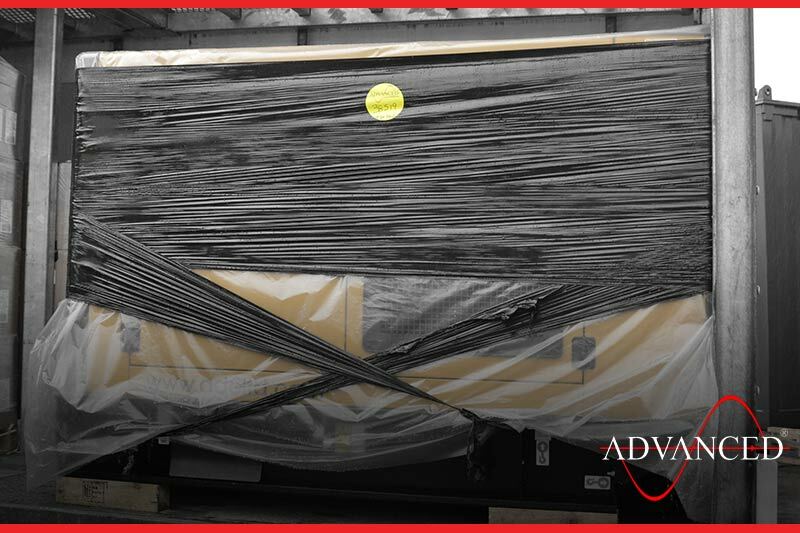 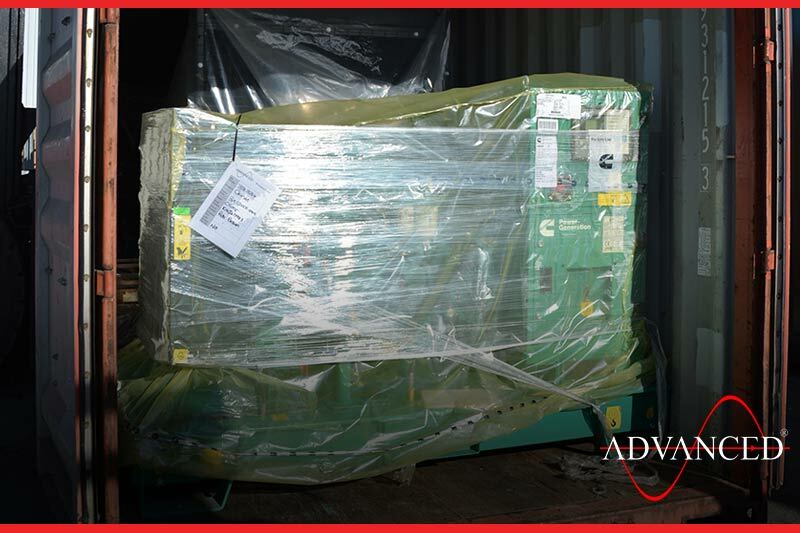 This 1400Kva Cummins open diesel generator is being loaded and will be on its way to our client in Northern Africa where is will be used as industrial prime power. 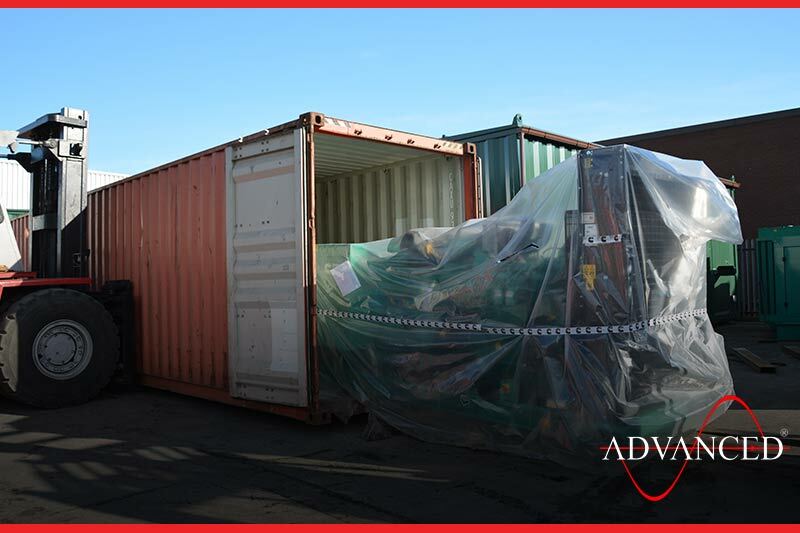 Another unit is collected for export to Norway. 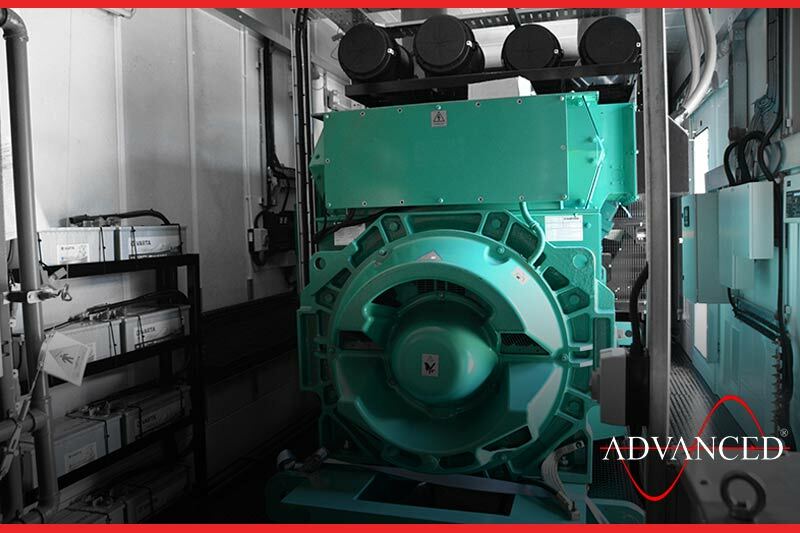 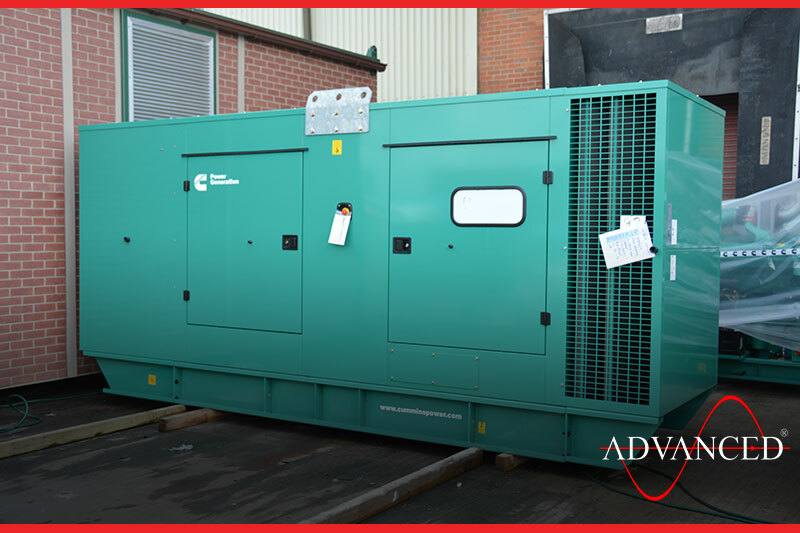 This Open type Perkins 450Kva diesel generator will be installed into an awaiting plant room – replacing an old and worn out 1980,s Dorman unit. 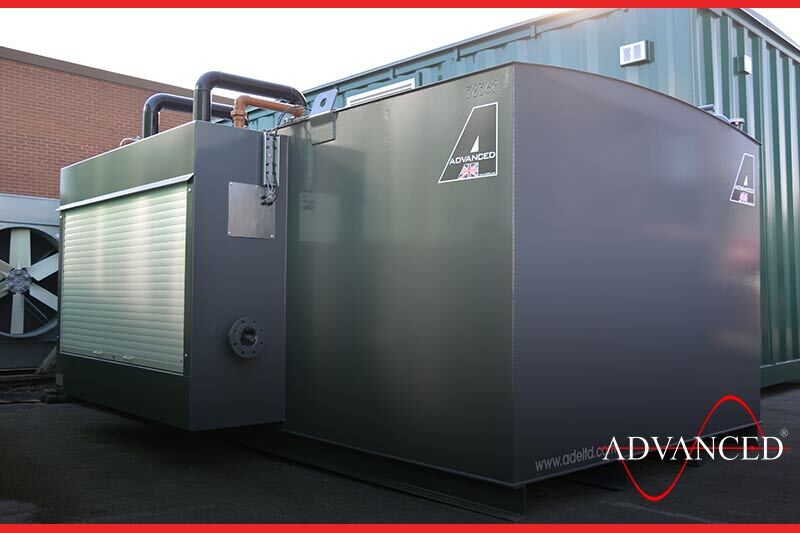 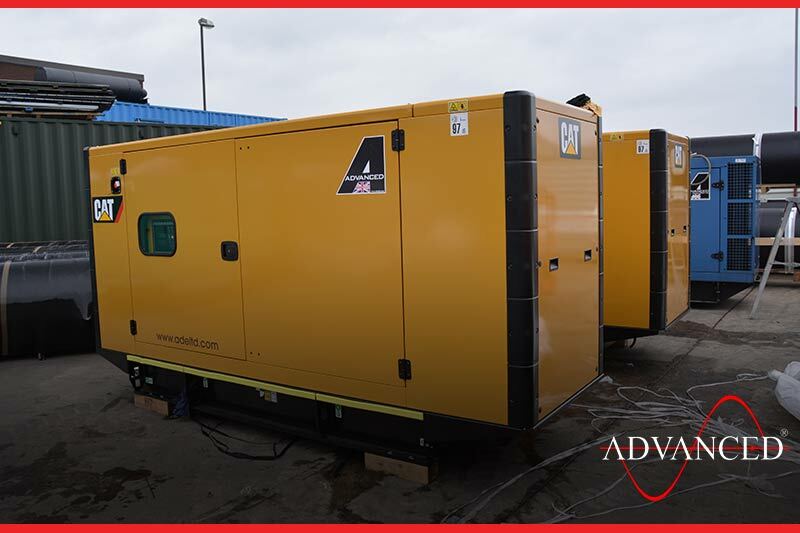 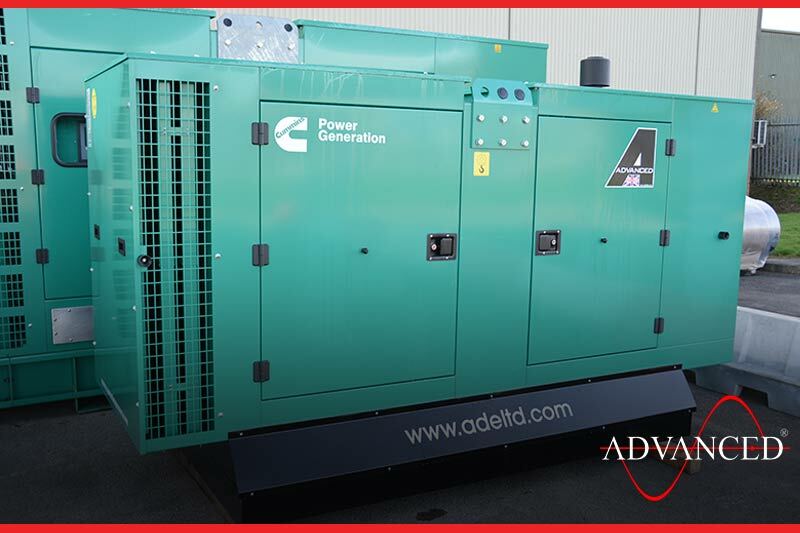 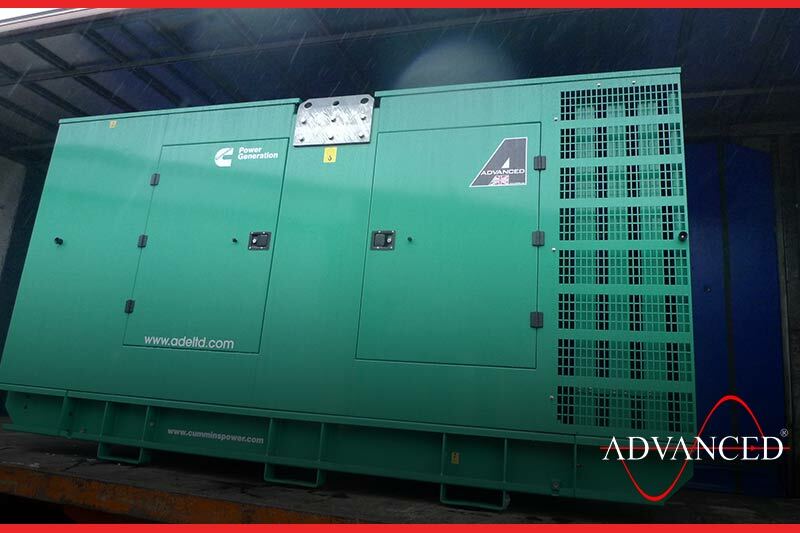 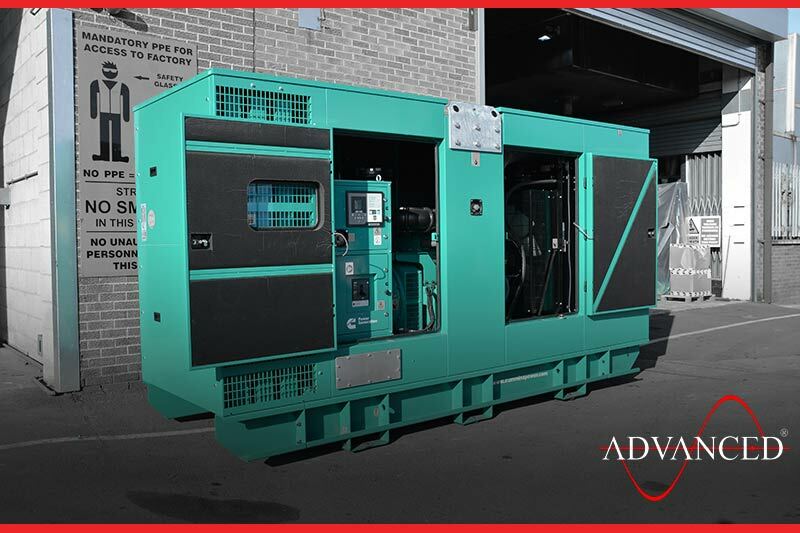 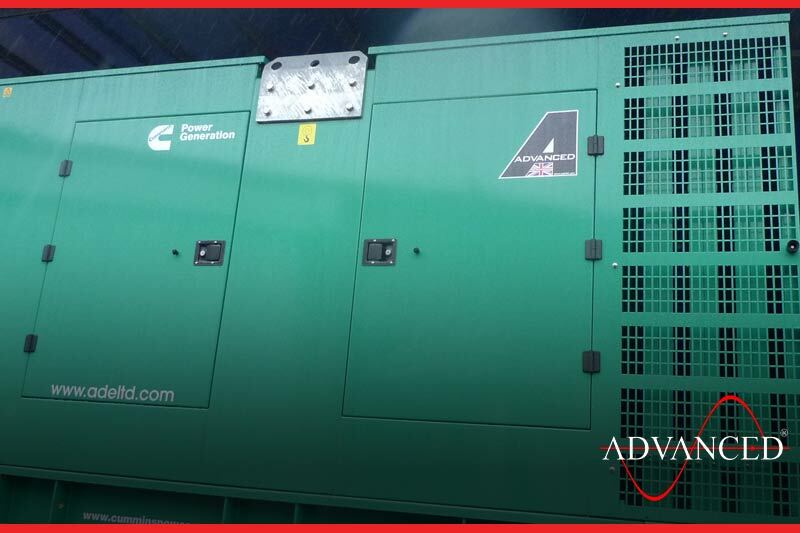 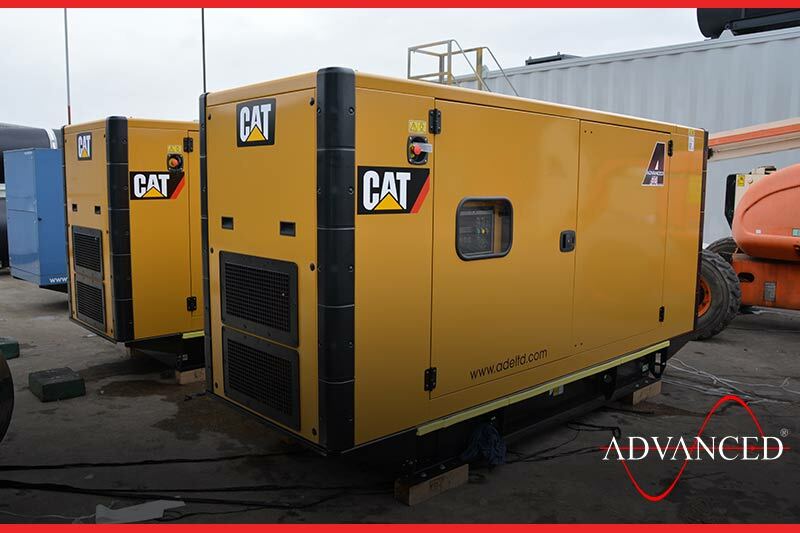 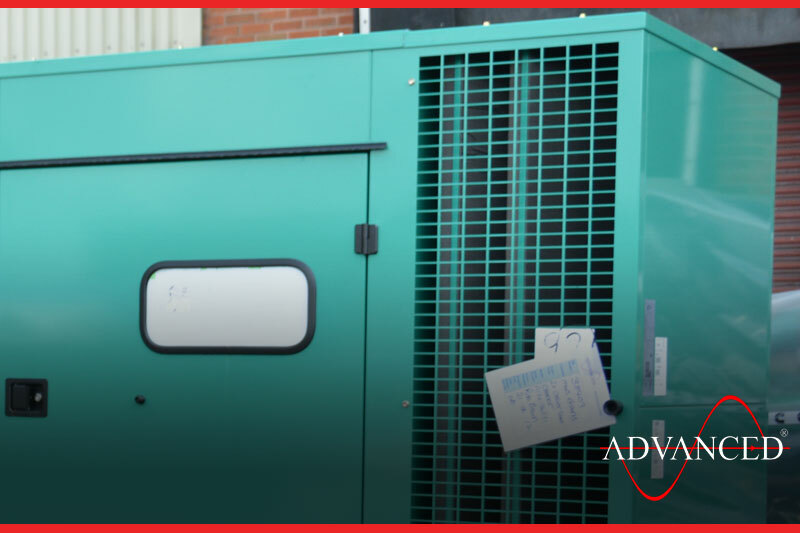 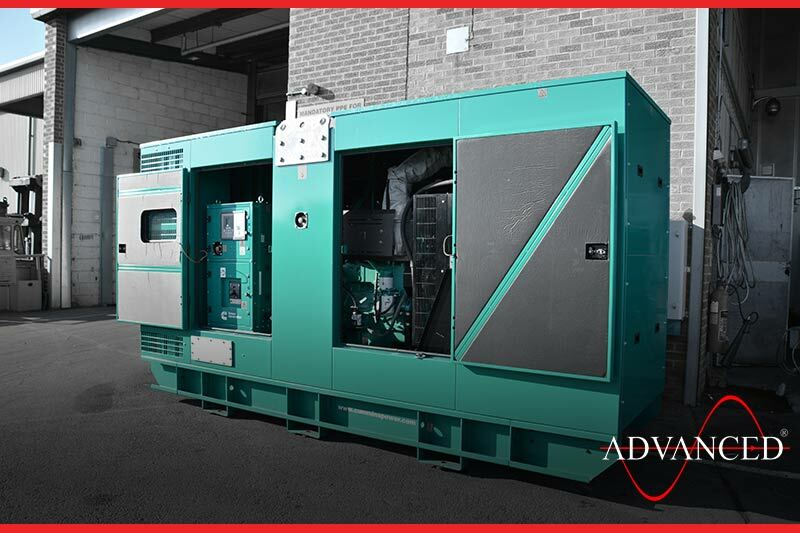 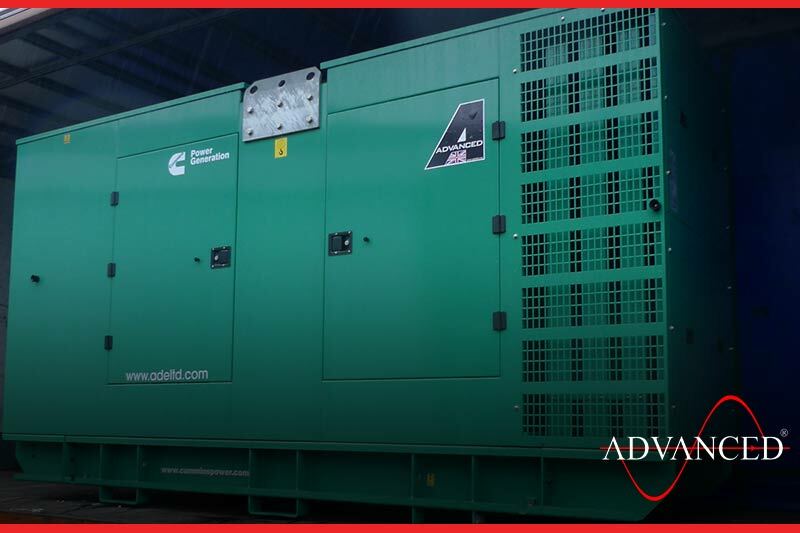 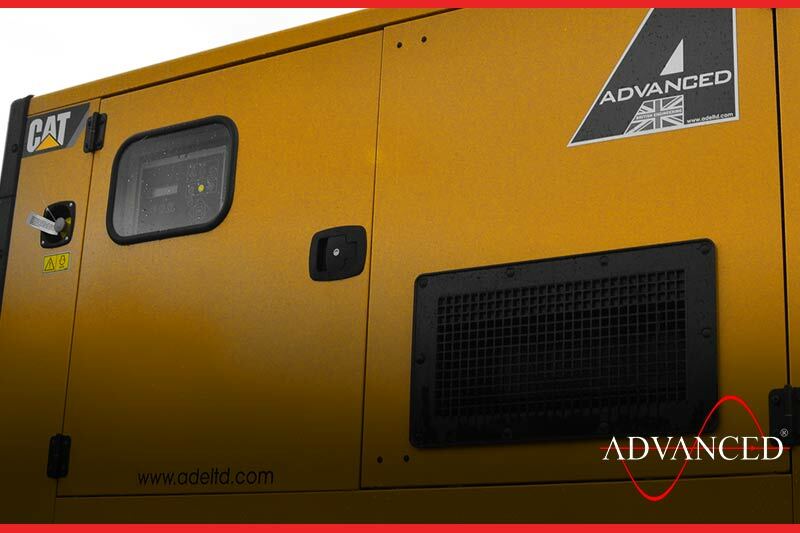 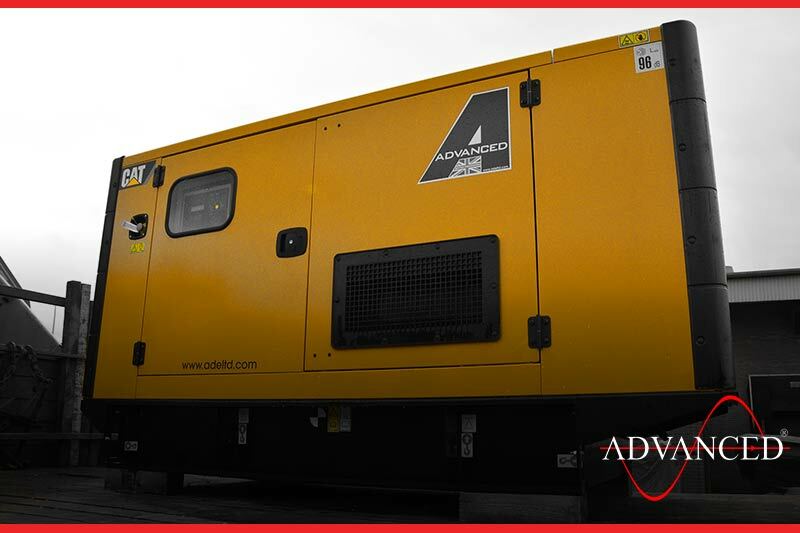 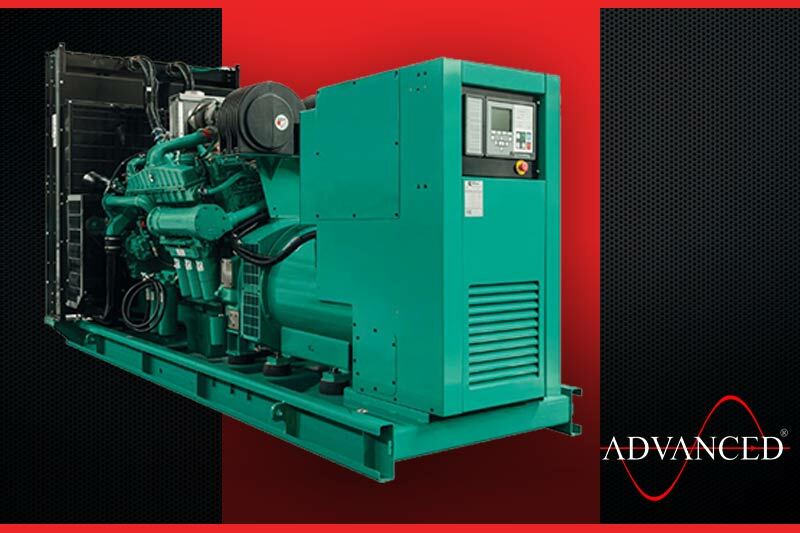 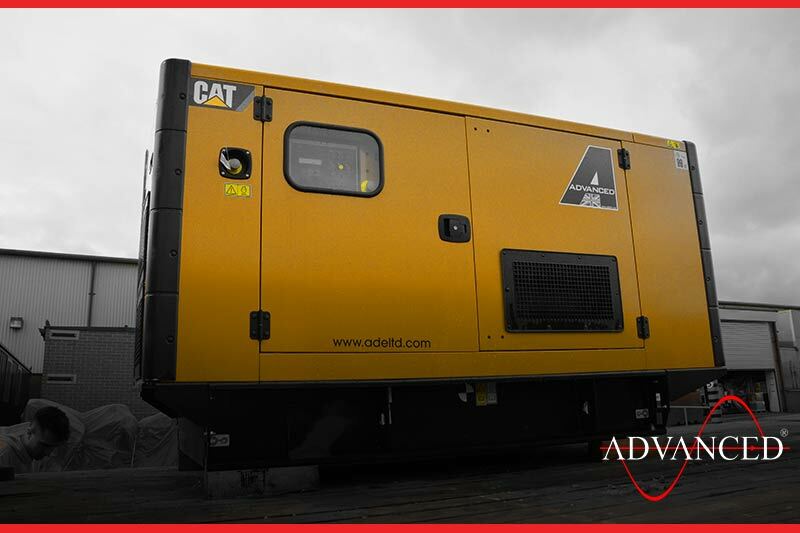 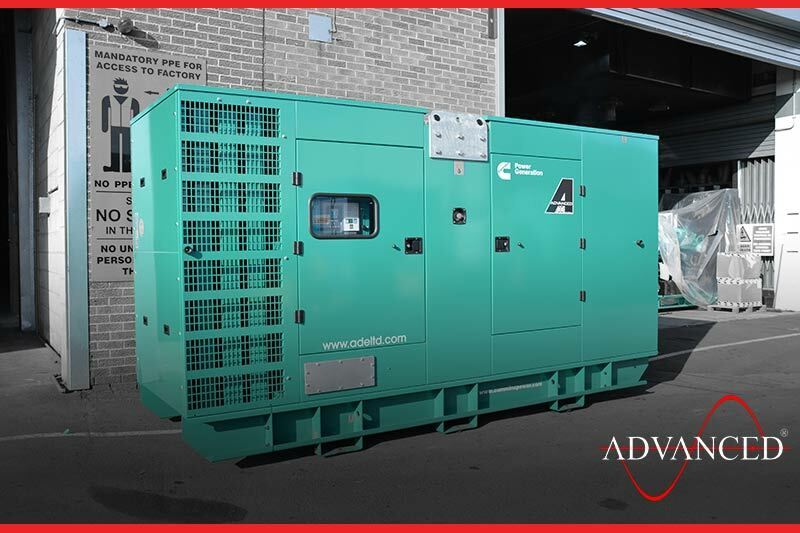 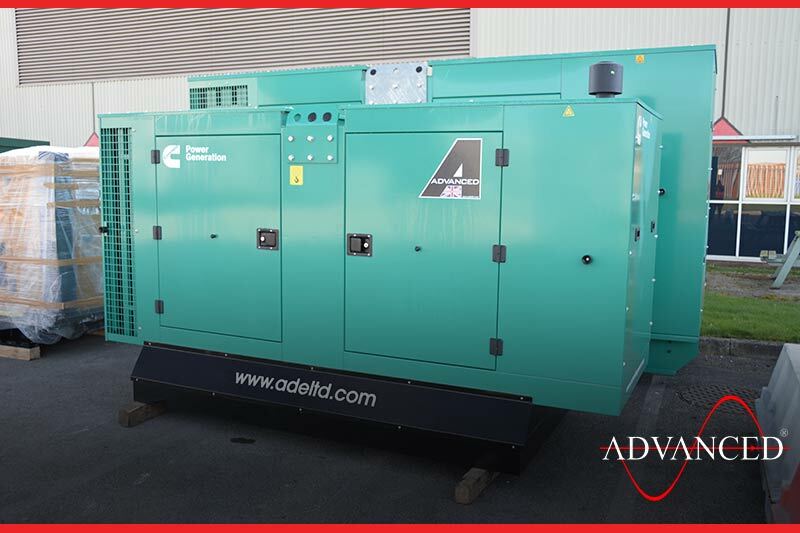 This standard 88Kva Caterpillar enclosed Diesel Generator will provide prime power for a national floor coating and waterproofing company. 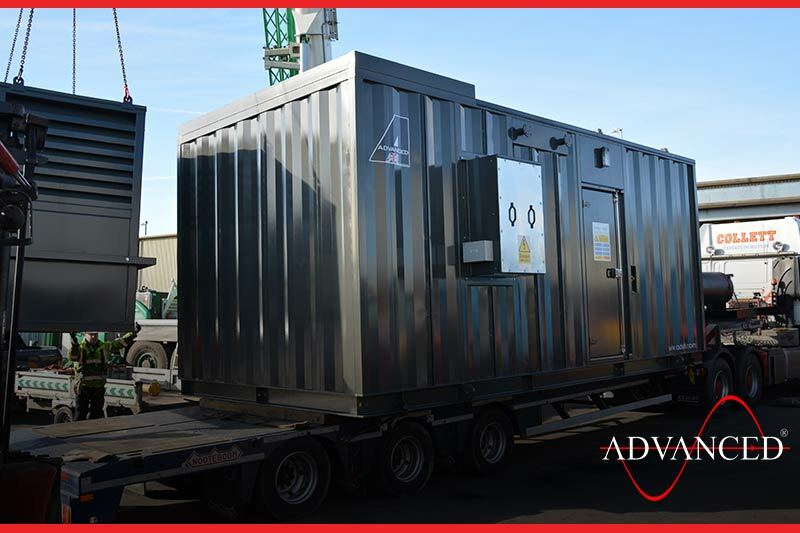 The unit will be fitted along with the other machinery into a brand new 12 Ton truck to make a fully contained mobile unit. 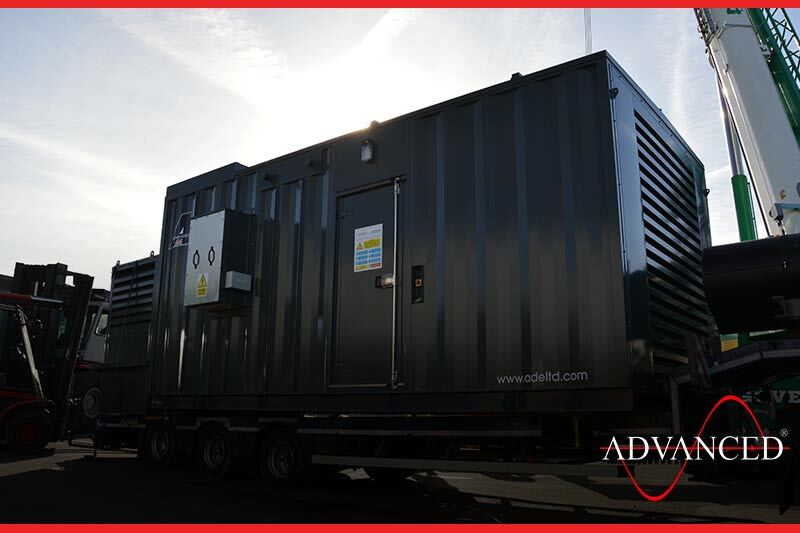 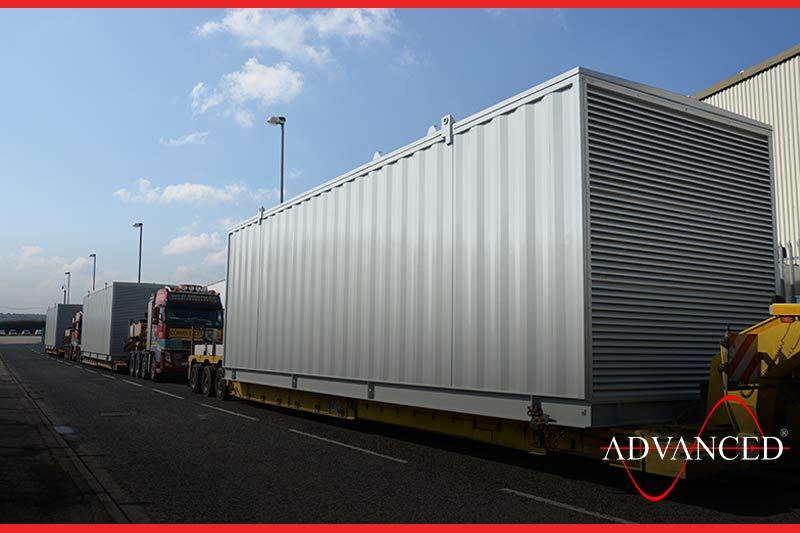 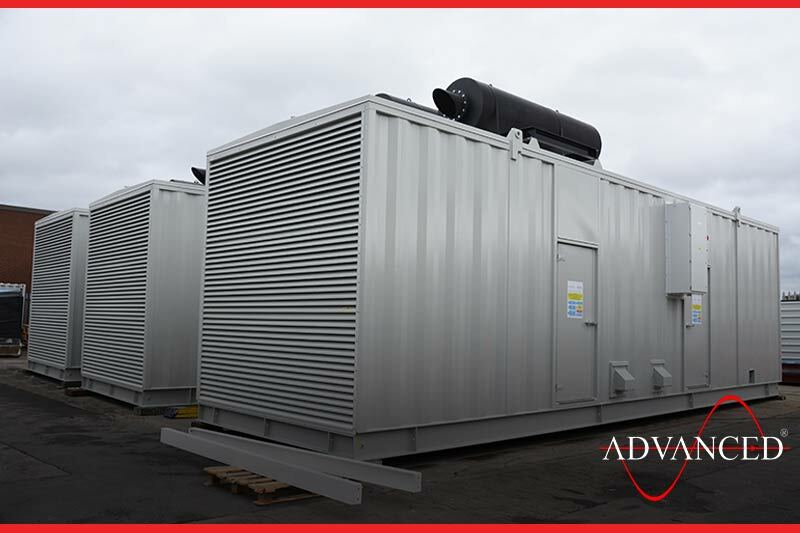 These three bespoke acoustic enclosures were designed & built by ADVANCED to house the Cummins QSK 60 2500Kva diesel generator.All three units were shipped to the Netherlands where they will be installed at a data centre. 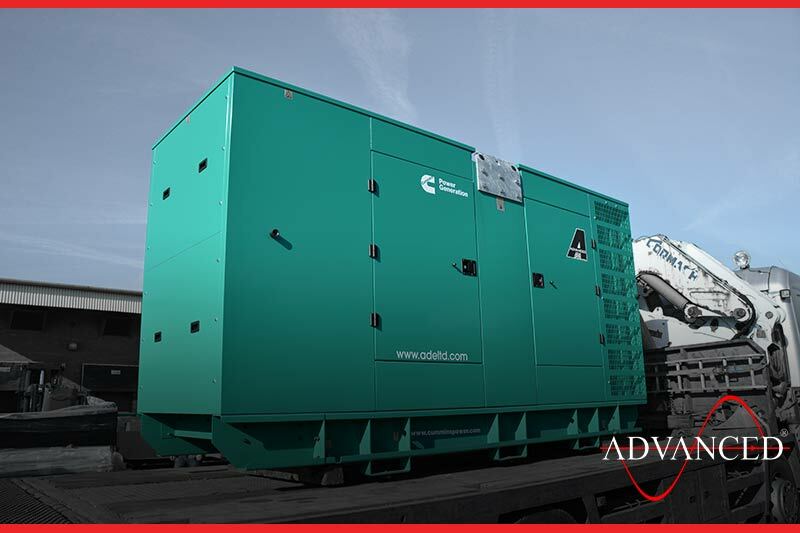 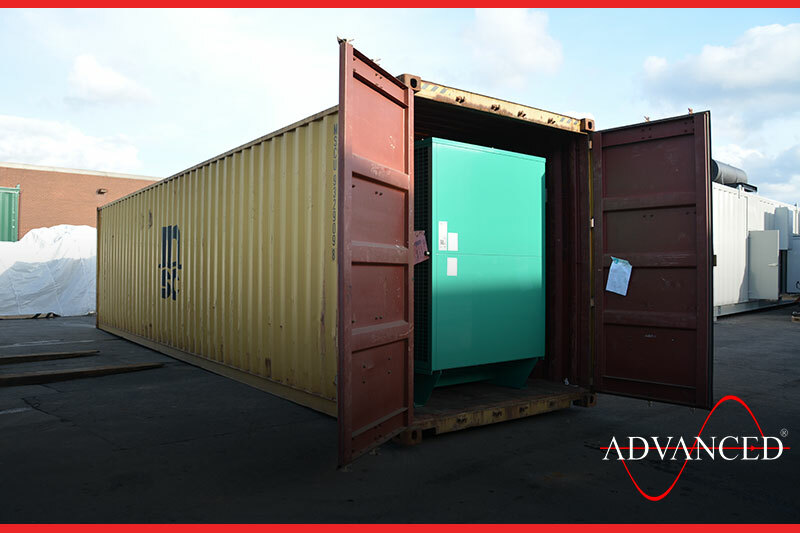 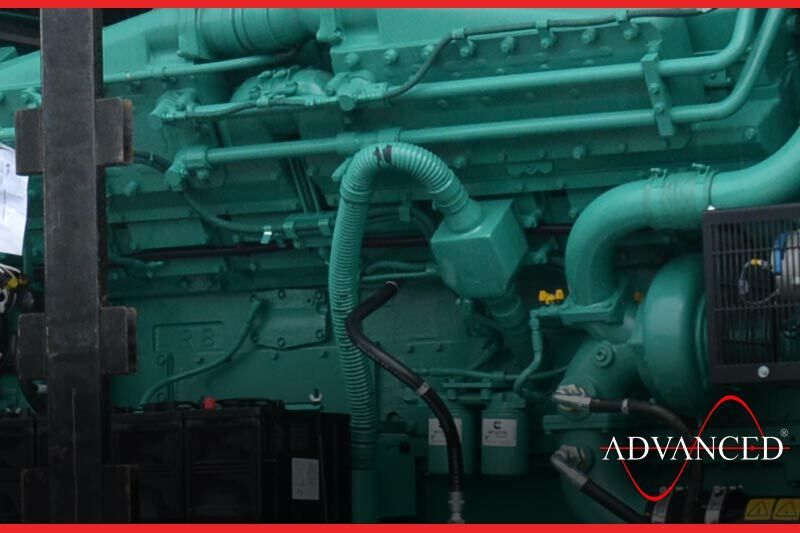 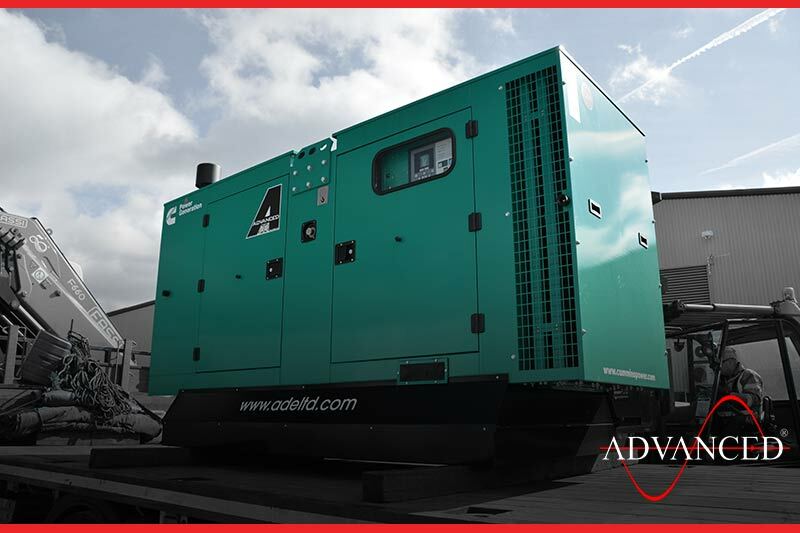 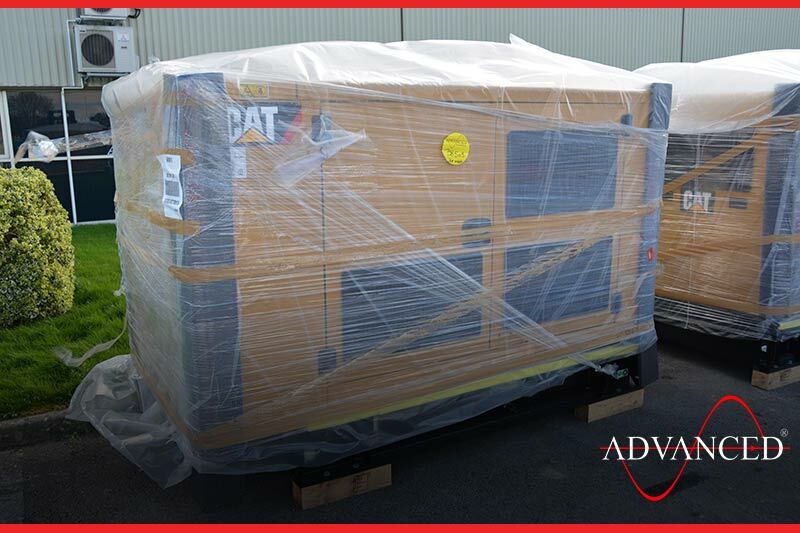 This Cat 88kva silent diesel generator is being exported to Malta along with two ATS panels. 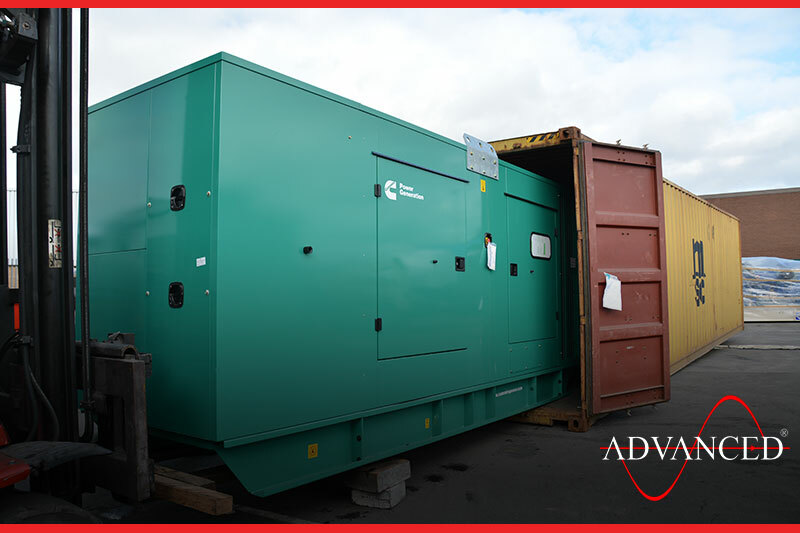 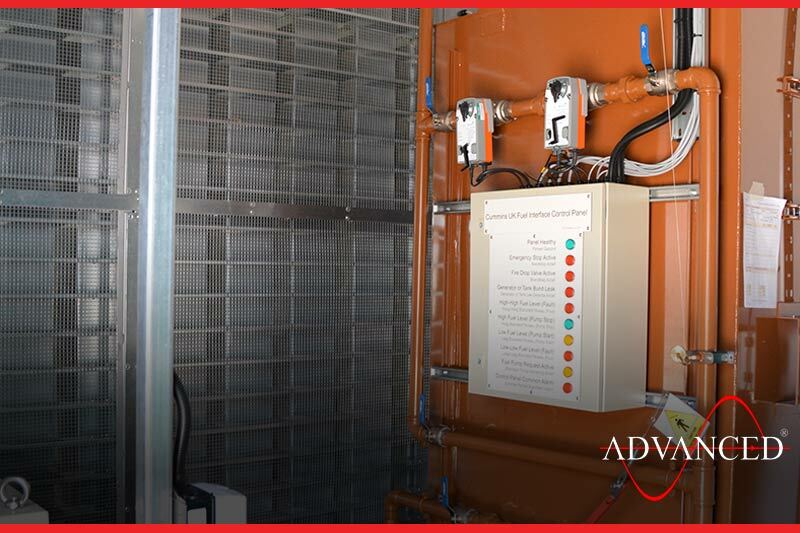 The generators will provide back up power to a construction chemical manufacturer. 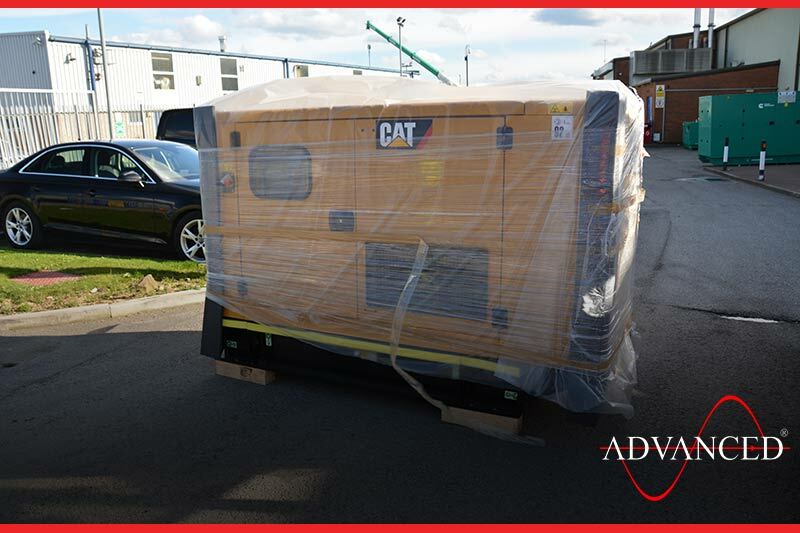 This Cat 110Kva silent set was collected by a sheet metal fabrication company in the Midlands, it will be used as prime power for an automated metal forming machine. 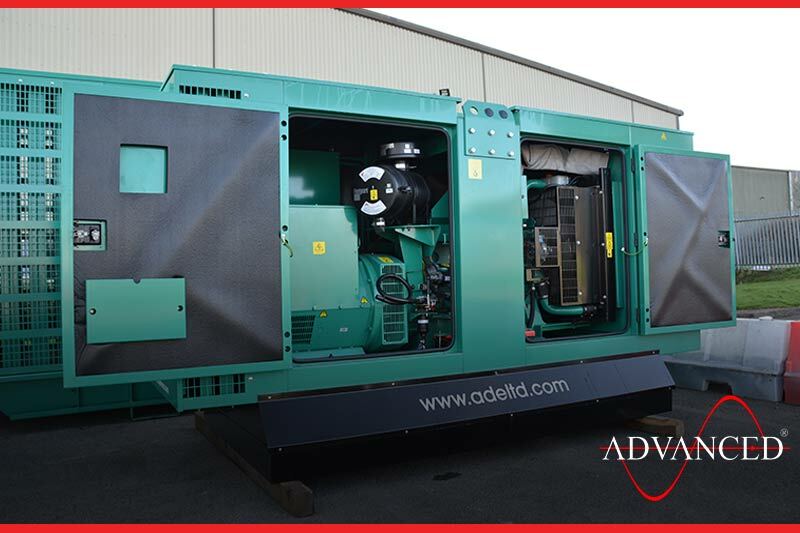 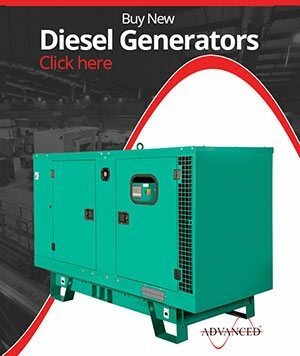 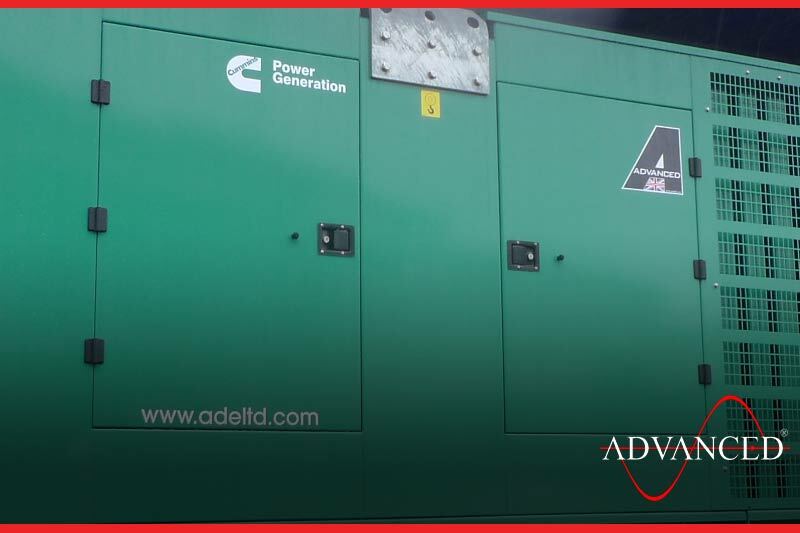 This 330Kva enclosed Cummins diesel generator will provide site power for a Turkey farmer near Cornwall. 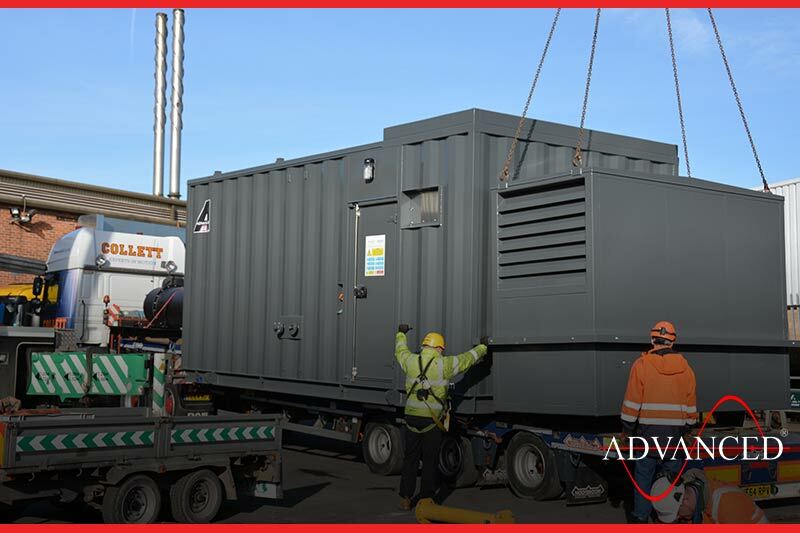 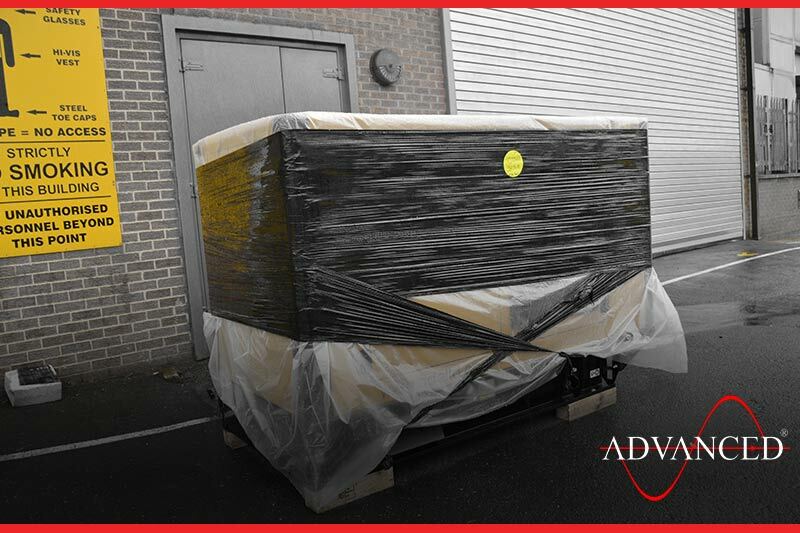 This 110Kva Cummins diesel generator c/w additional bunded base is being despatched to be installed at an Isle of Anglesey council office block. 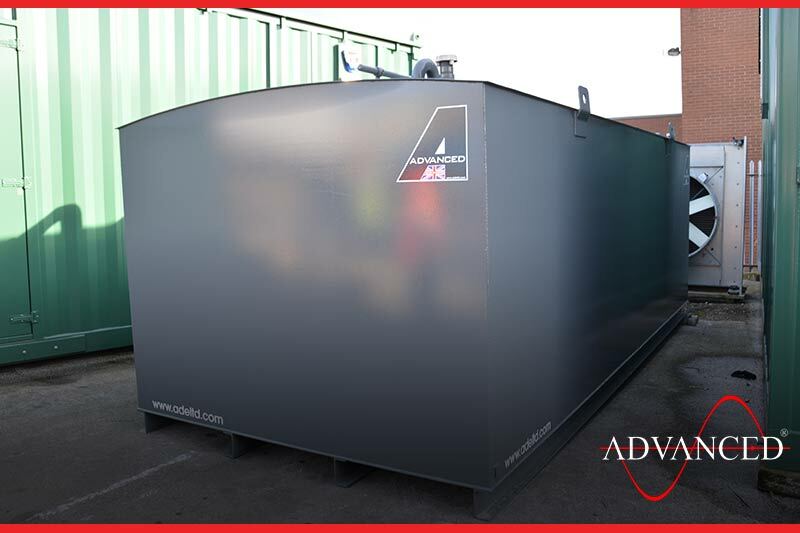 Following the Bio Fuel generator is this 10,000ltr specially built tank that will heat and filter the fuel whilst its stored before use. 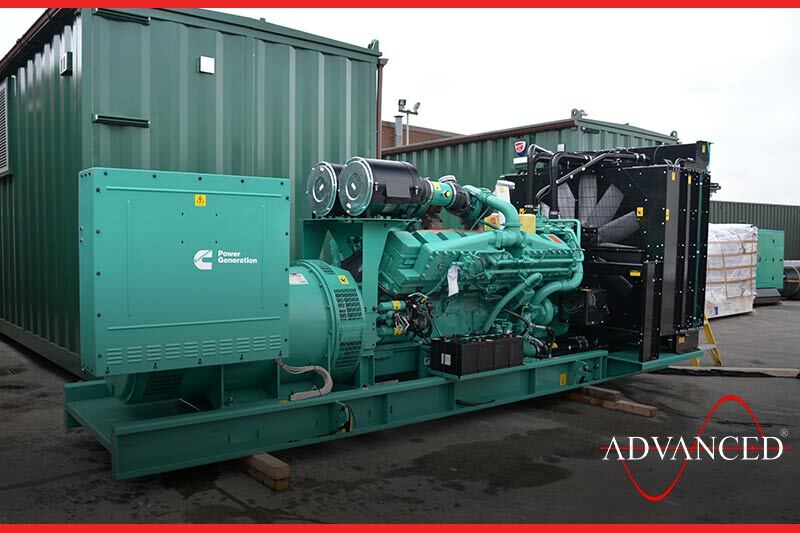 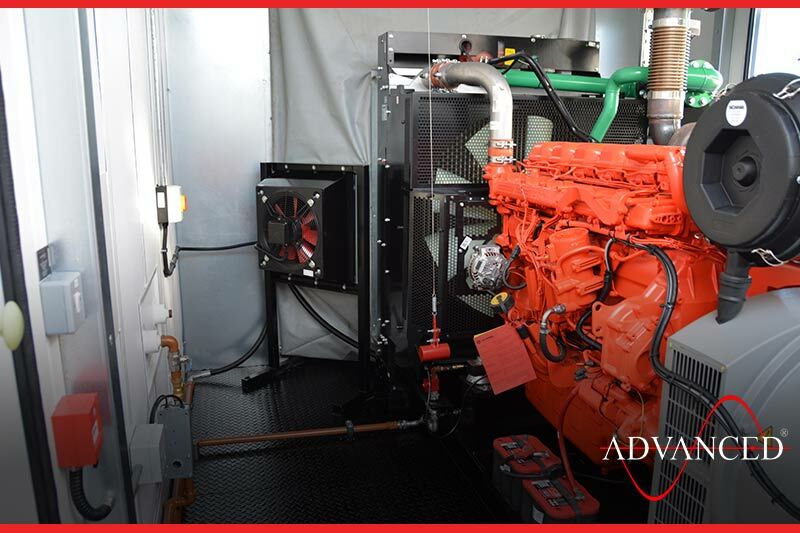 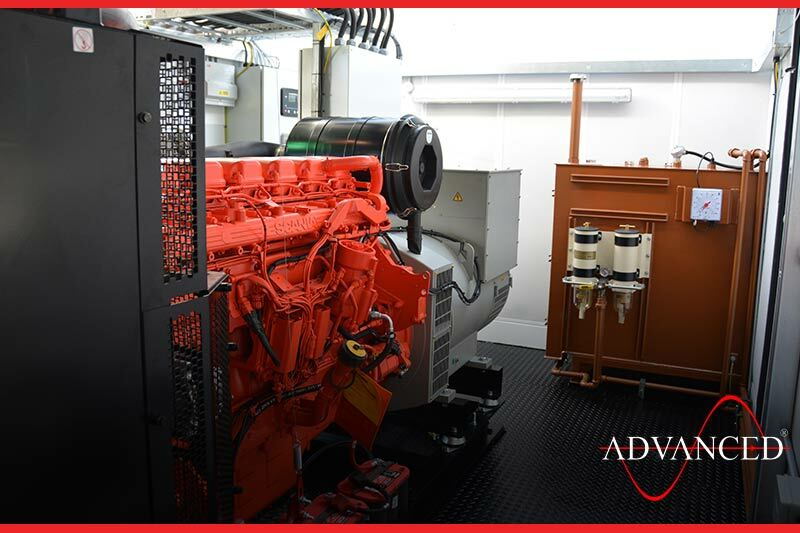 This ADVANCED designed and built Bio fuel Scania generator is the second unit to be supplied to a UK Hospital. 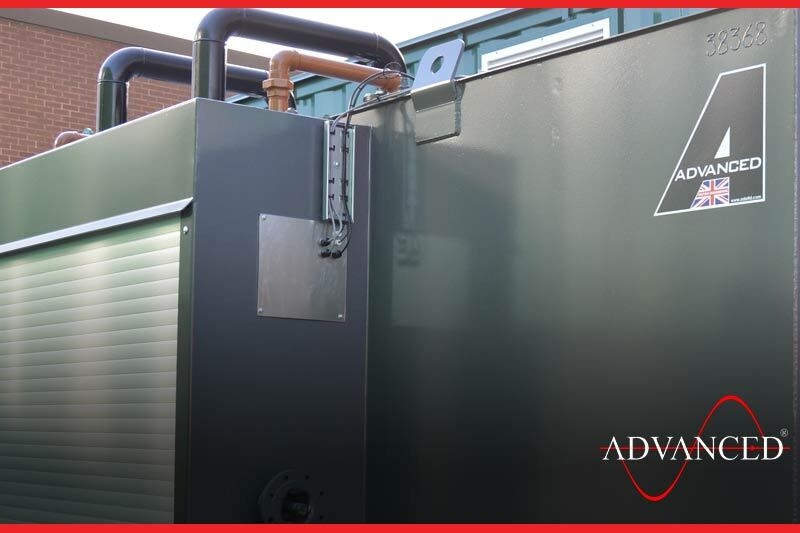 The unit will run 24/7 providing combined heat and power to the Hospital complex. 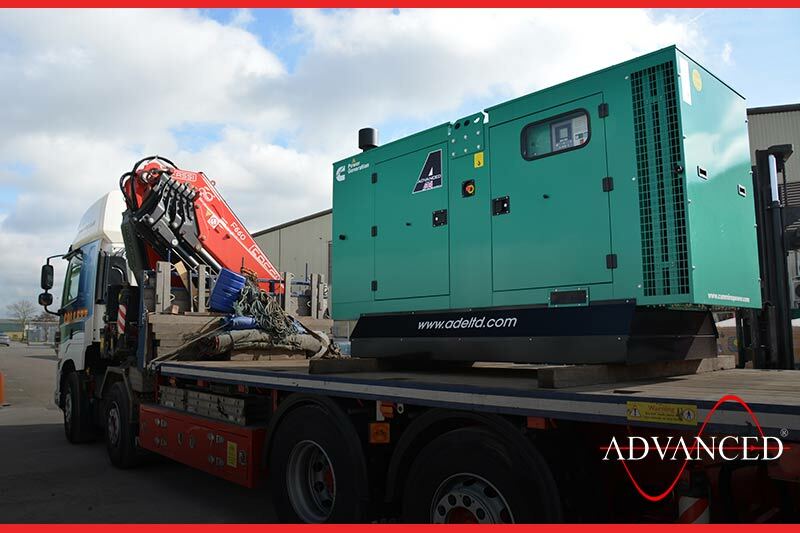 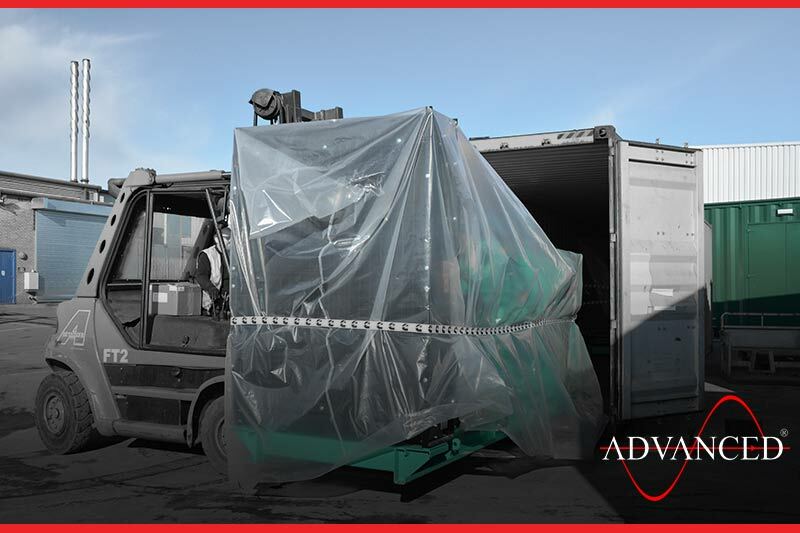 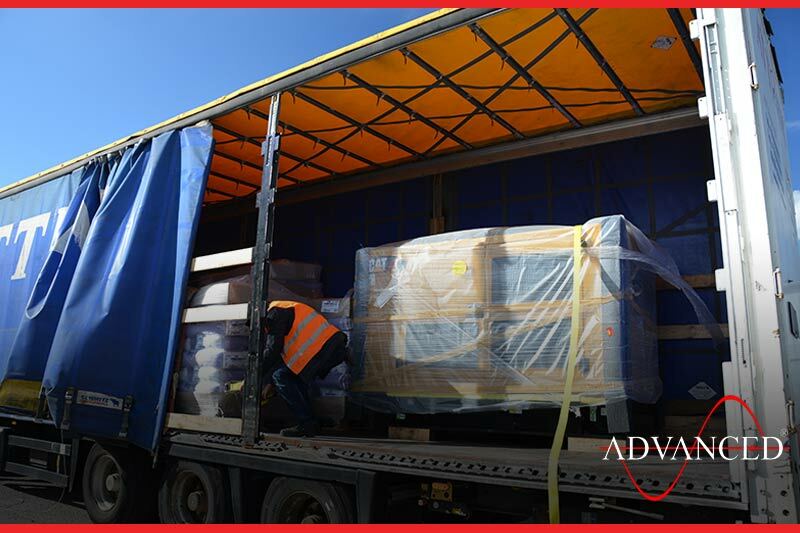 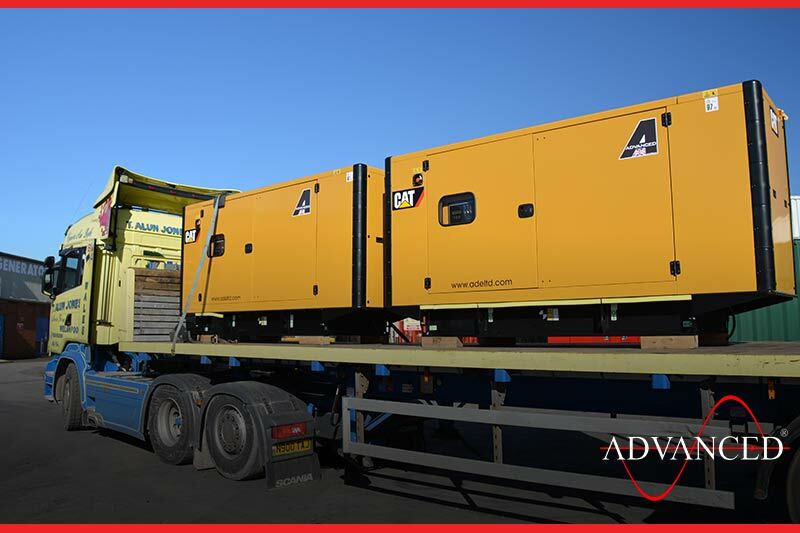 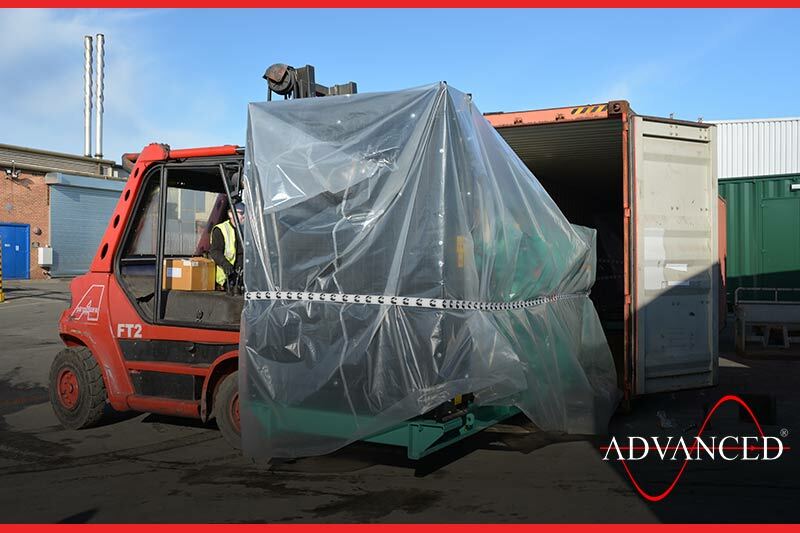 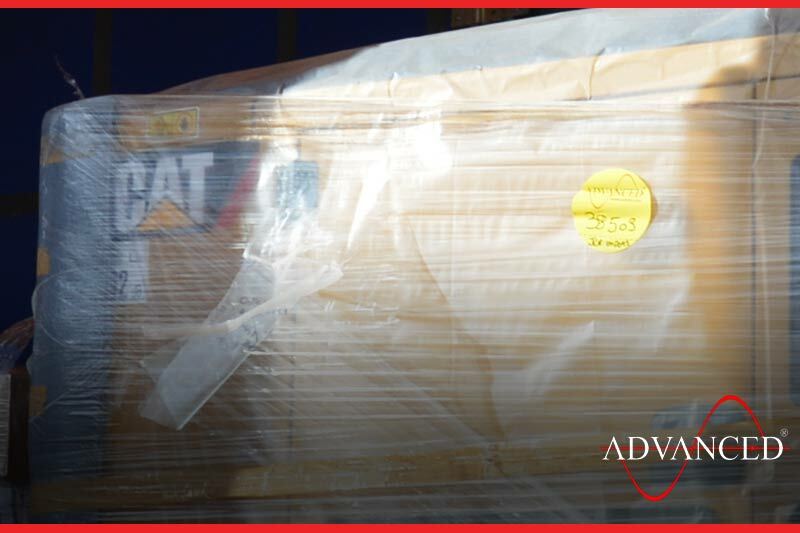 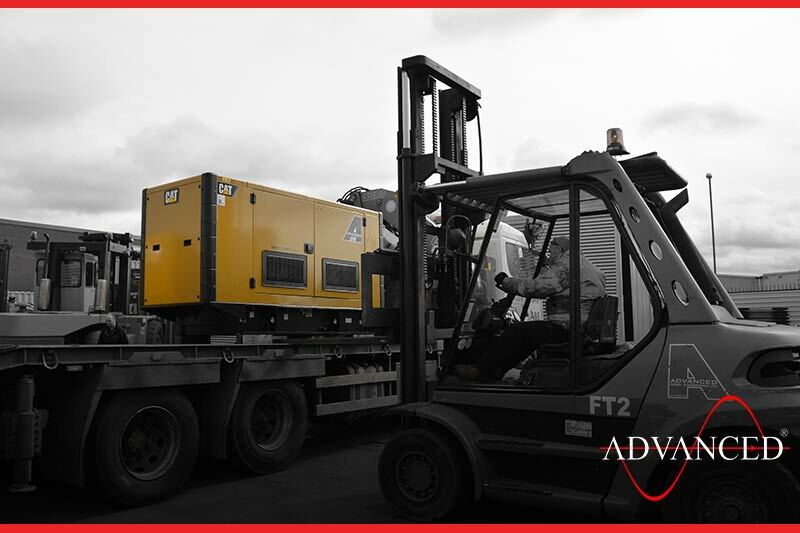 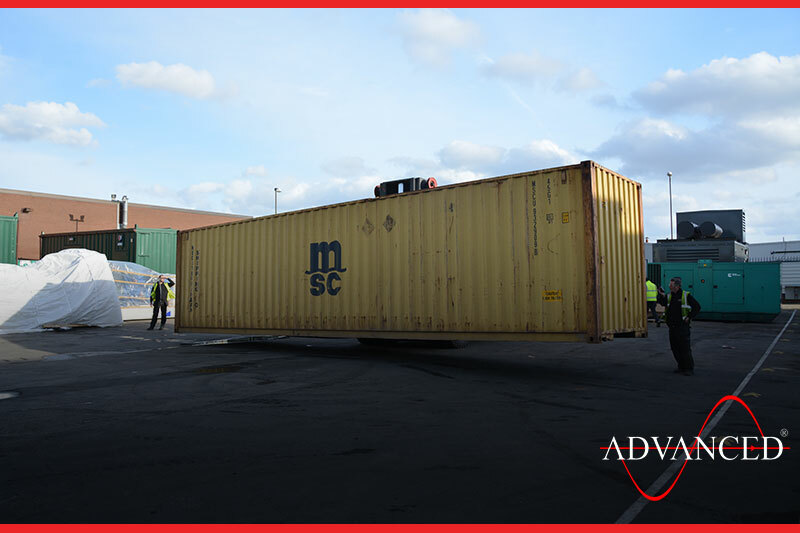 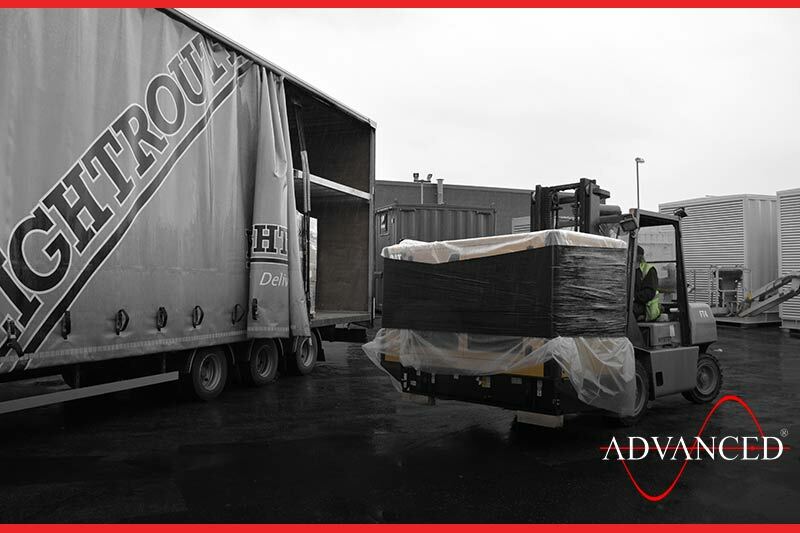 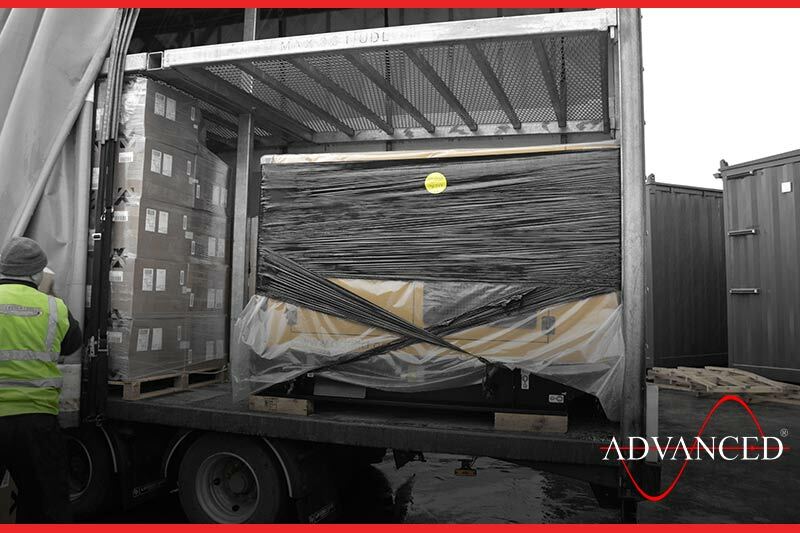 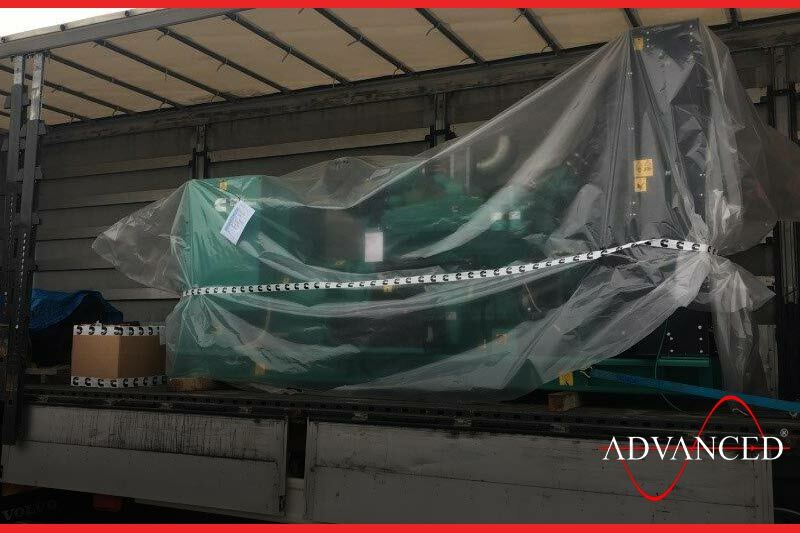 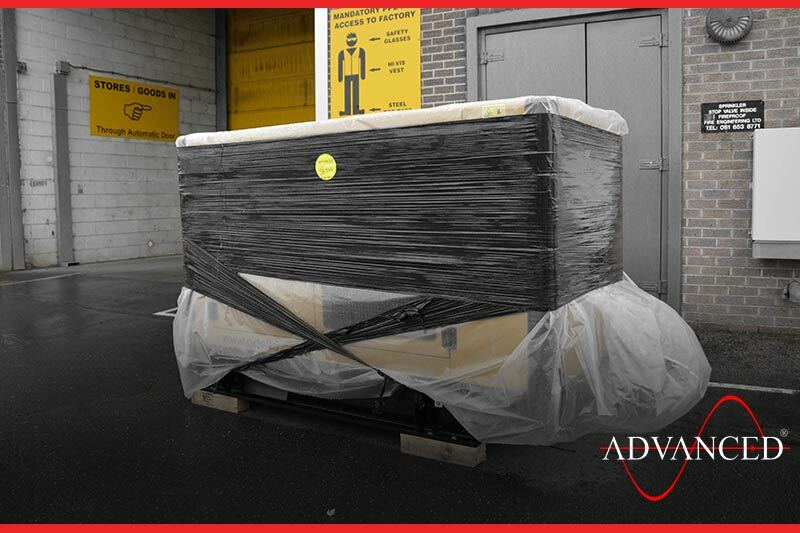 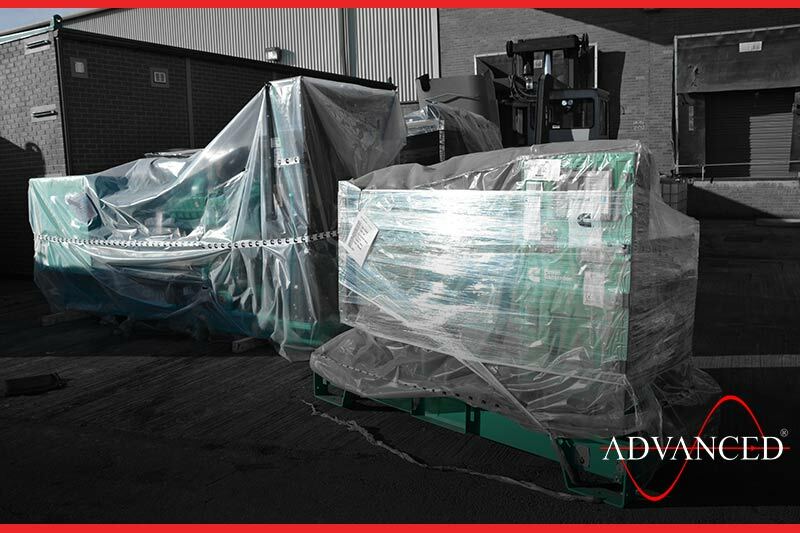 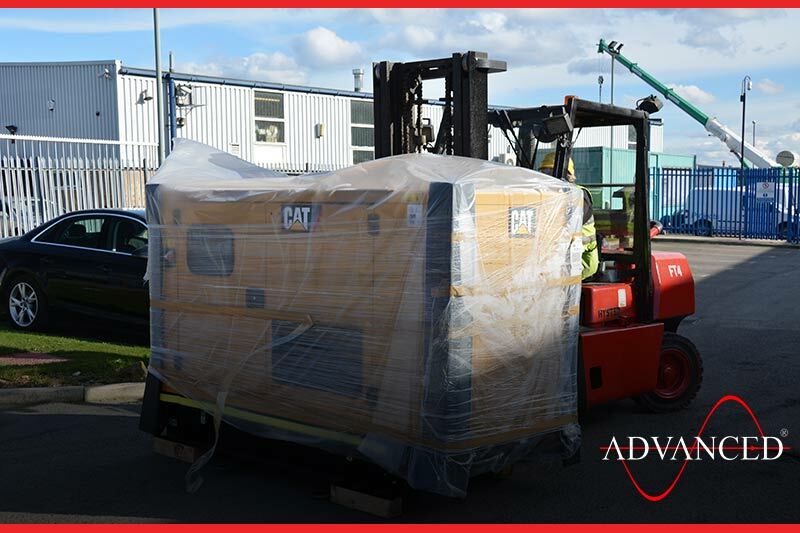 A pair of Cat 150Kva machines get loaded and despatched to a packaging company in the UK. 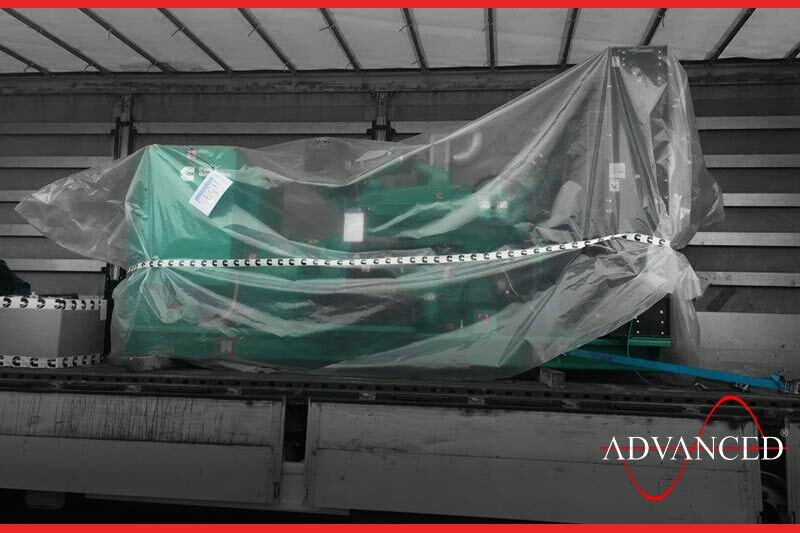 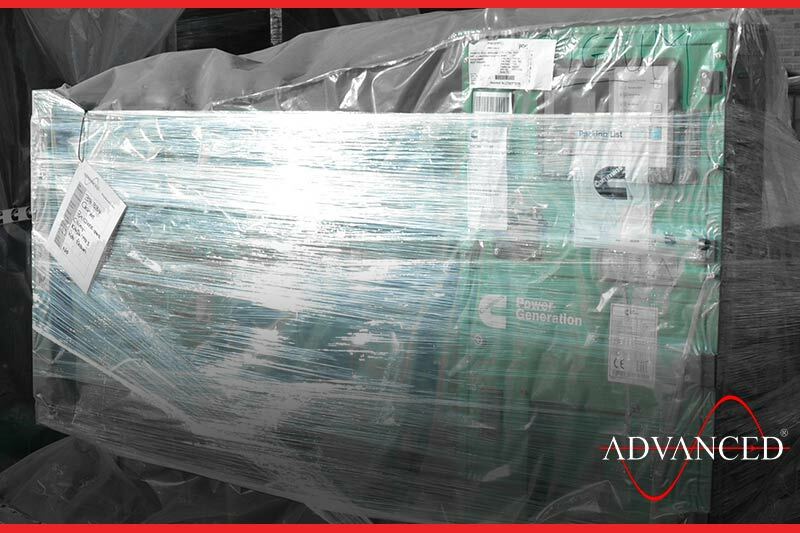 The machines will provide prime power to a newly installed automated packaging machine. 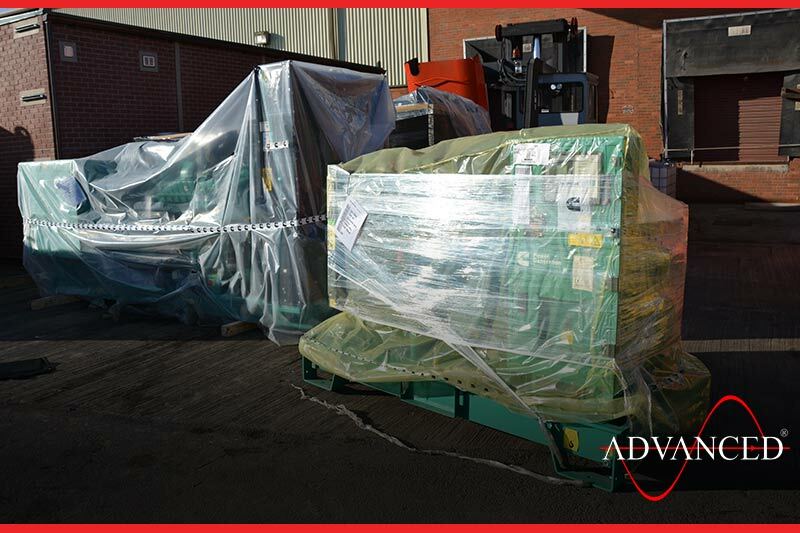 Another container load of Cummins Diesel Generators, 700, 825 & 110Kva is loaded ready for despatch to a retailer in Norway. 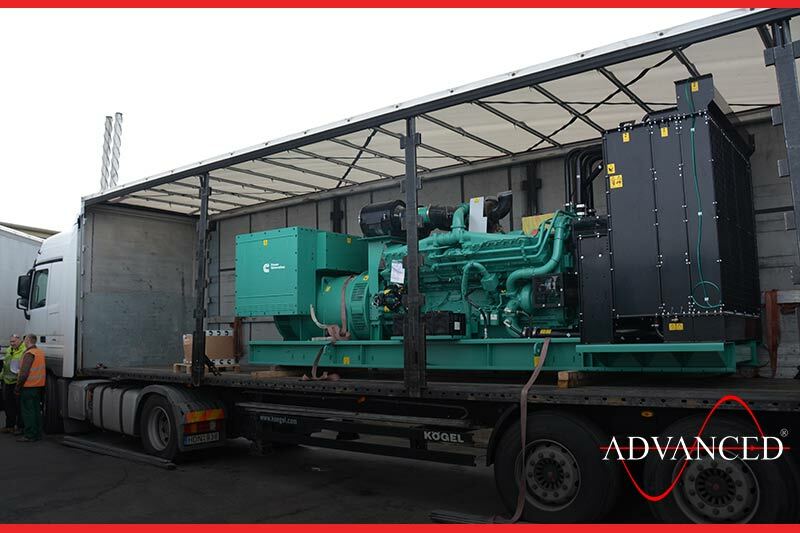 Another Cummins 1675Kva unit is despatched to an energy provider in Lithuania. 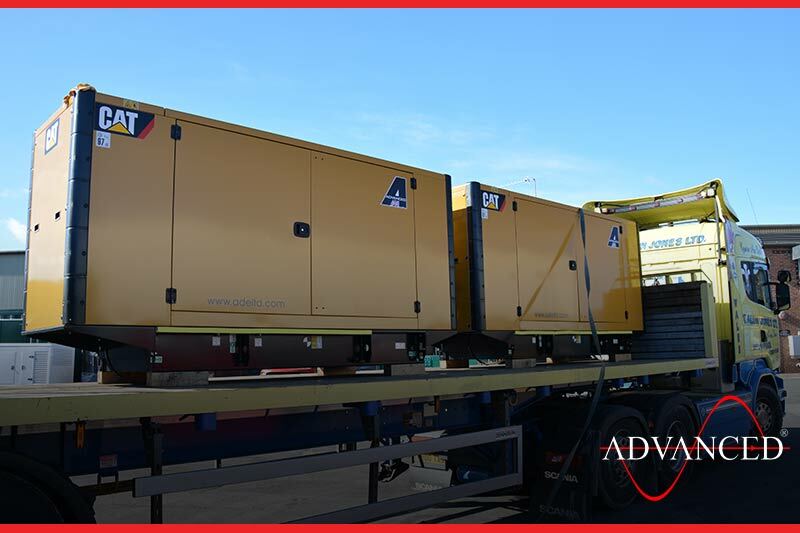 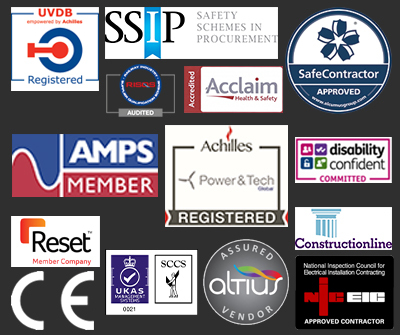 The company specialises is short term power reserve for large companies and the unit will be leased to them for a 5 year period. 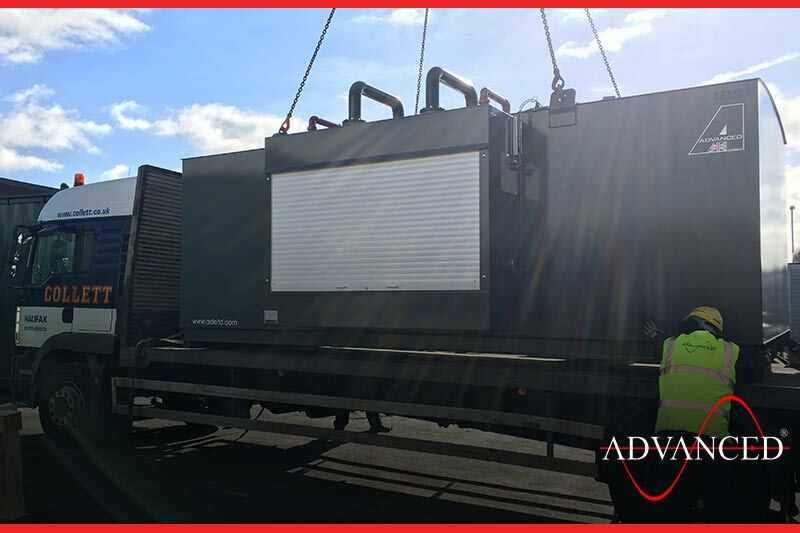 A Cummins 330kva silent unit was collected by the clients own transport, the unit will provide power to a paper, plastics and cardboard recycling plant near Devon. 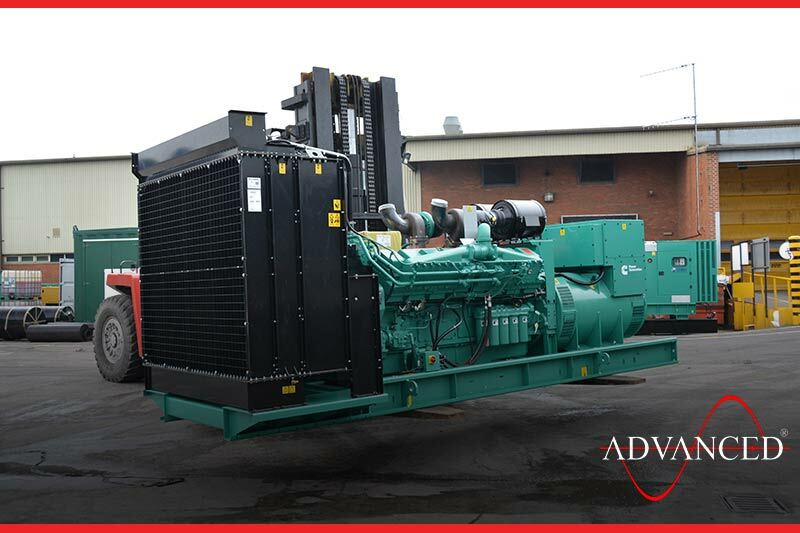 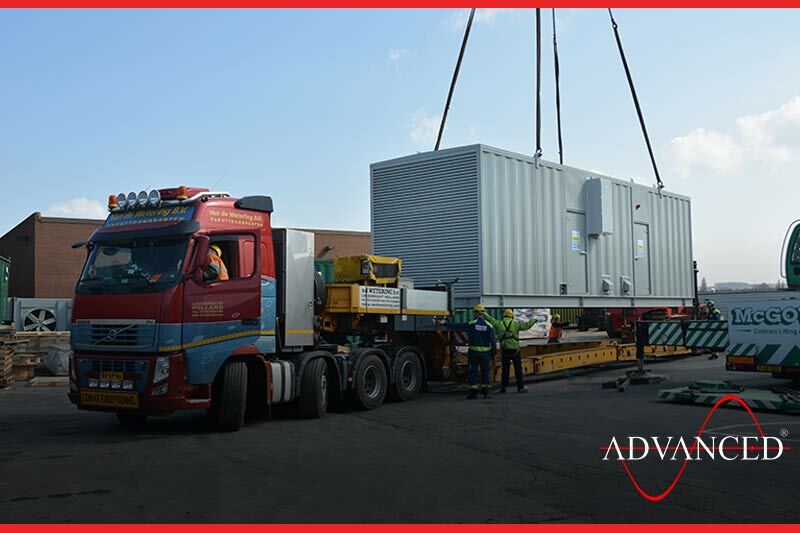 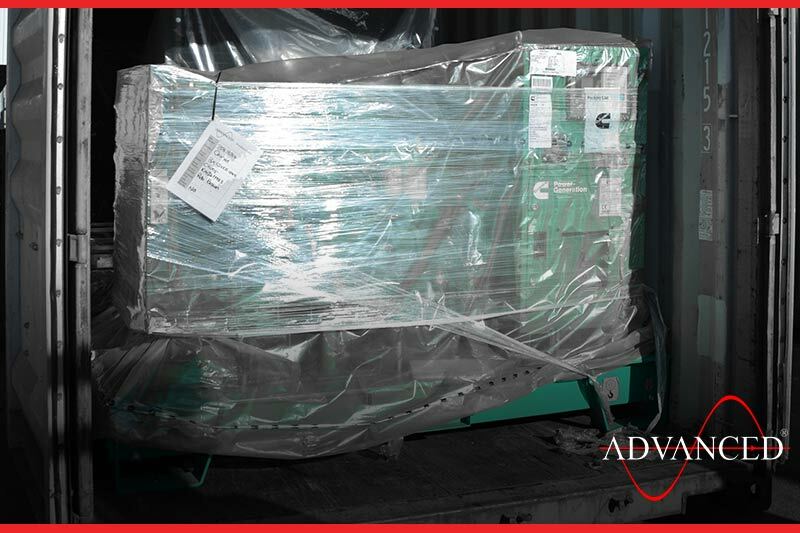 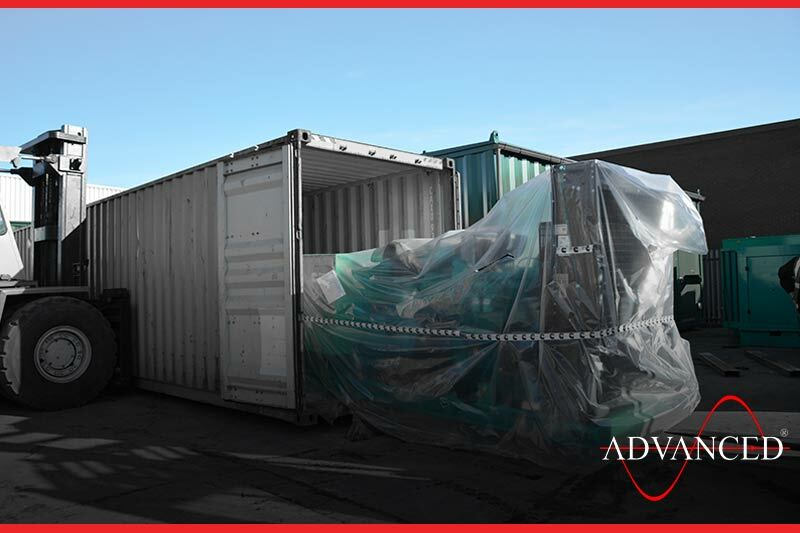 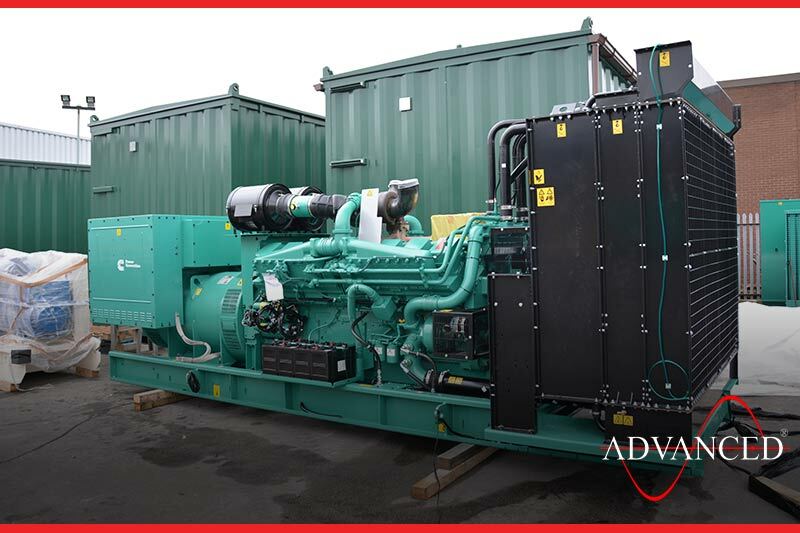 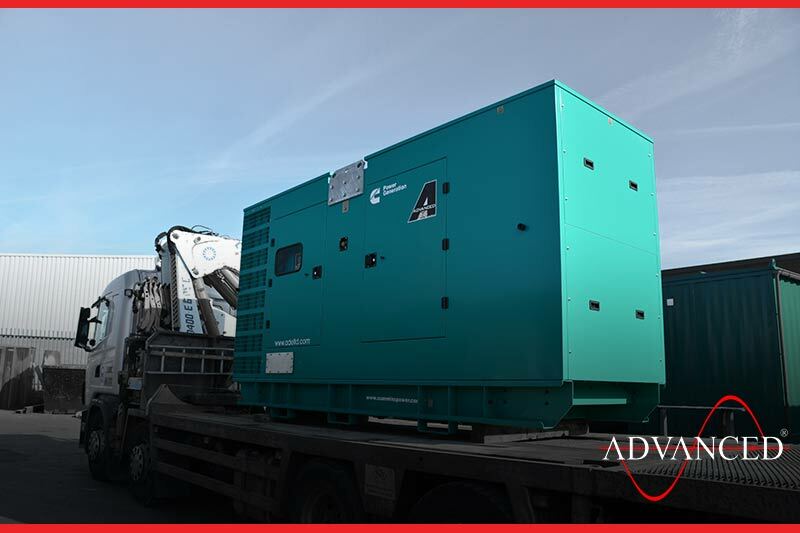 A Cummins 700 Kva open diesel generator along with additional parts and installation equipment is despatched to a Tarmac batching plant in Africa. 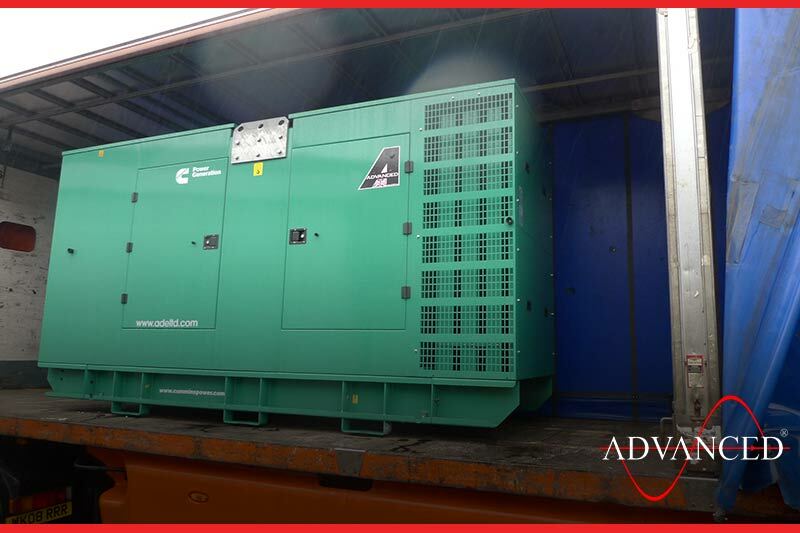 These two Cummins 550Kva silent units are being shipped to Mars the confectioner in the Maldives. 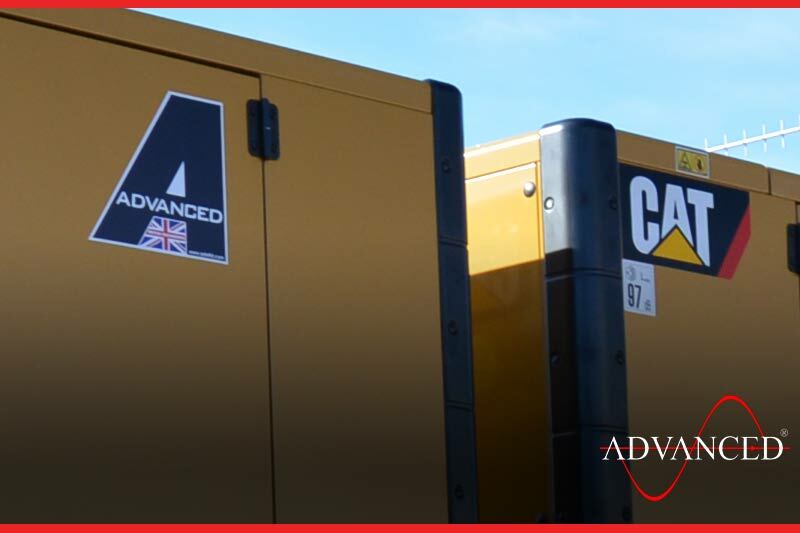 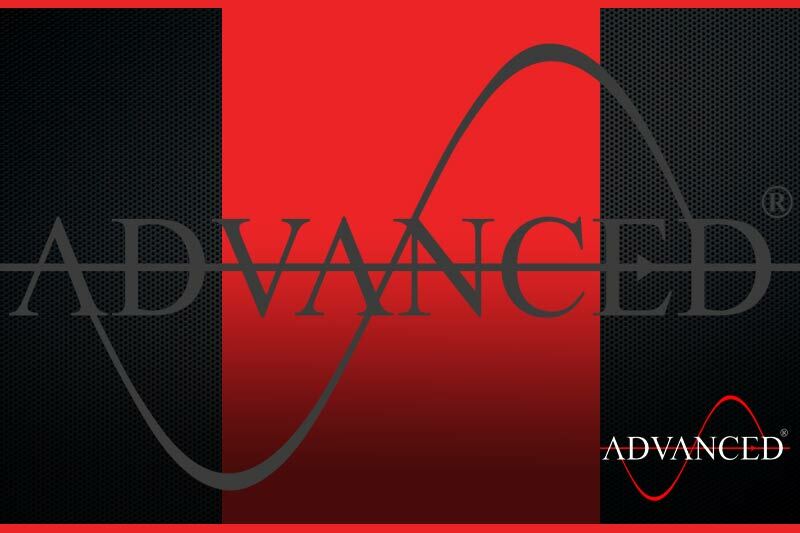 They will provide prime power to a new manufacturing facility.